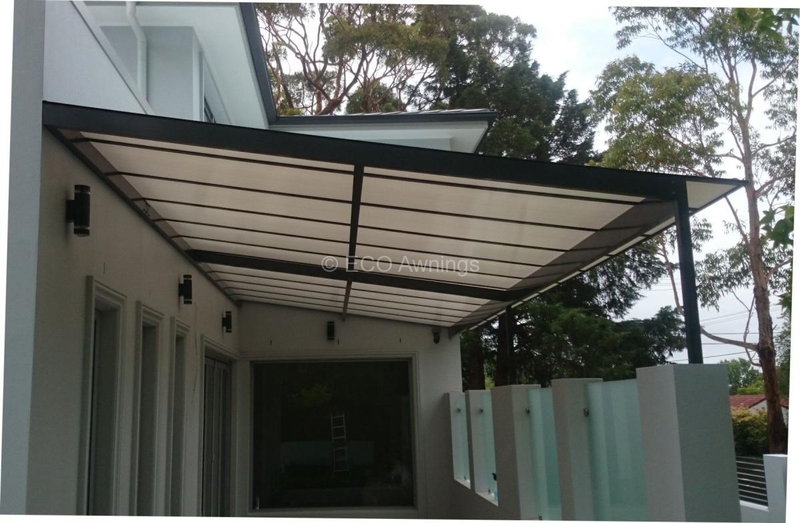 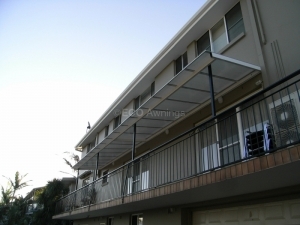 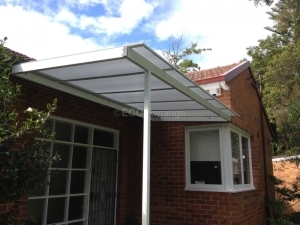 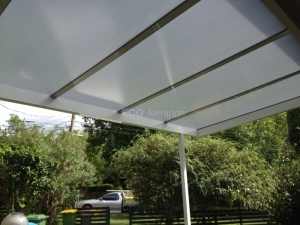 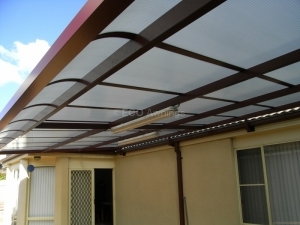 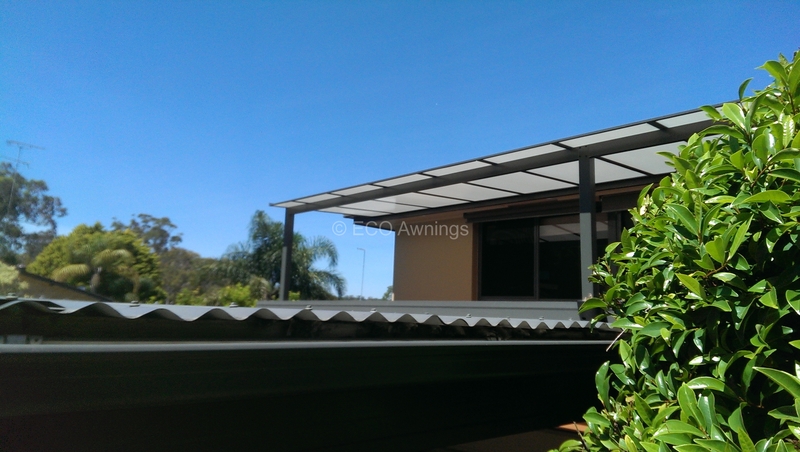 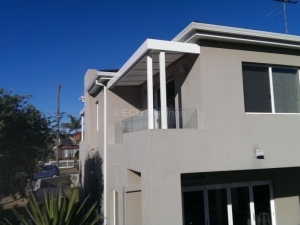 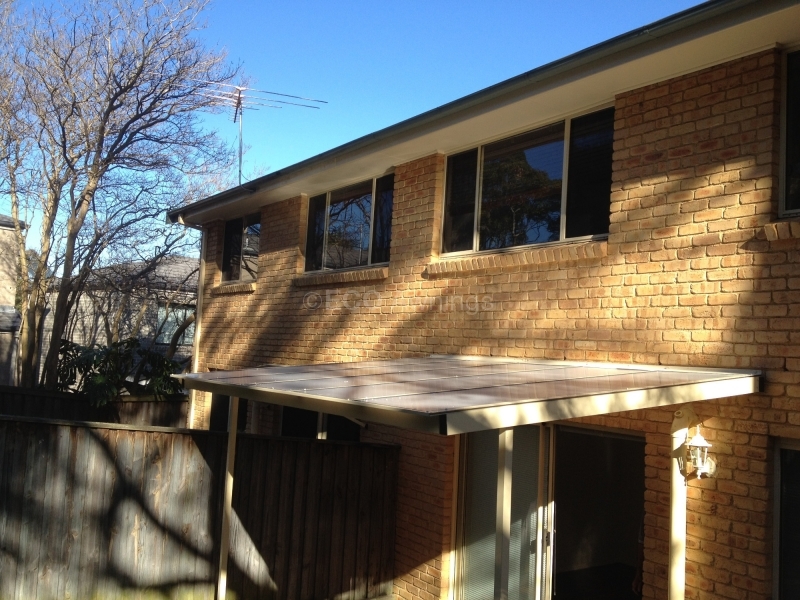 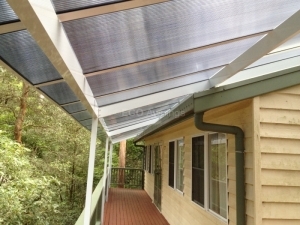 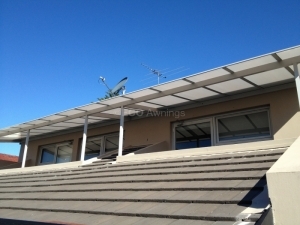 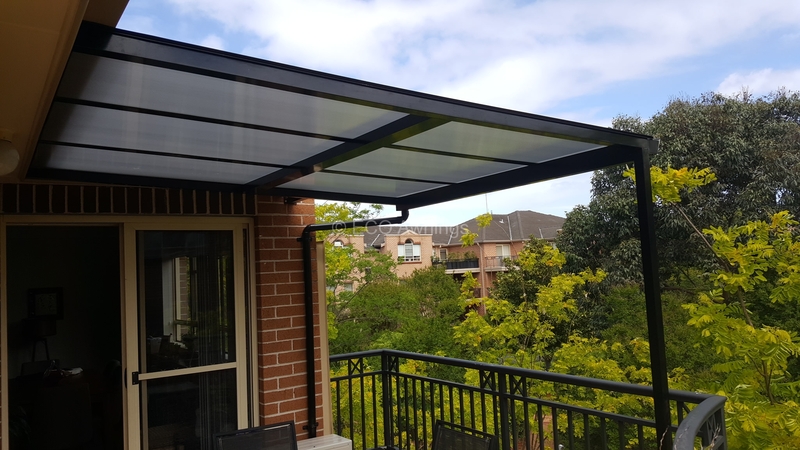 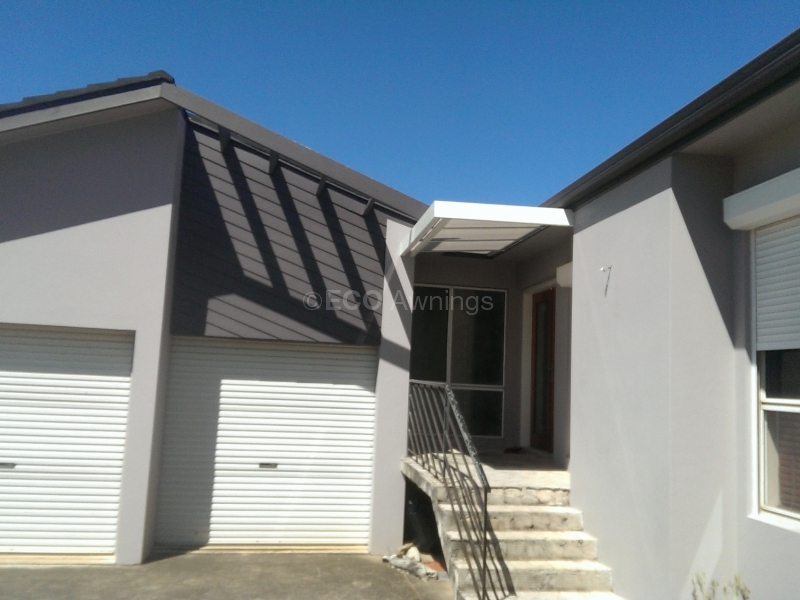 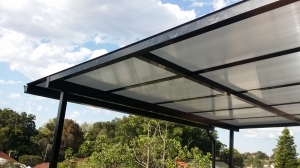 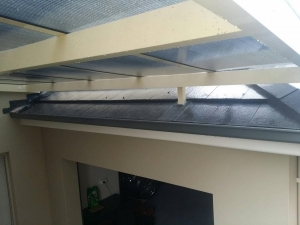 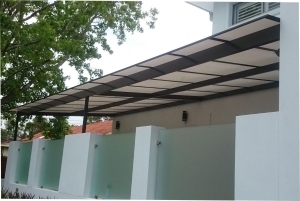 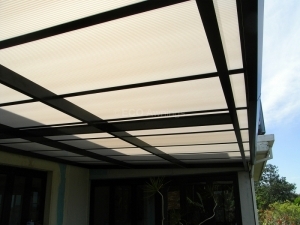 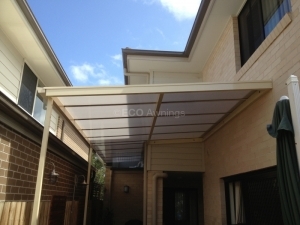 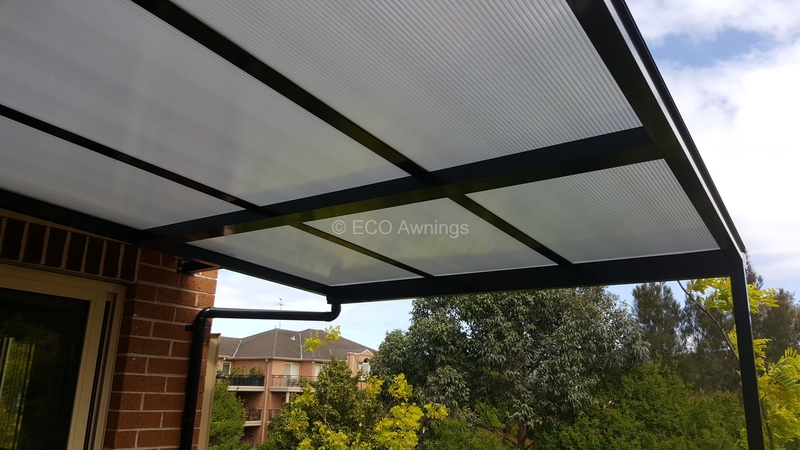 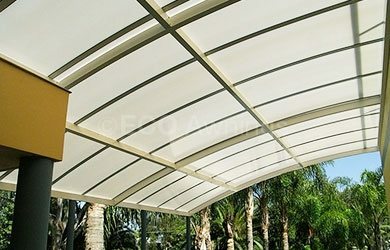 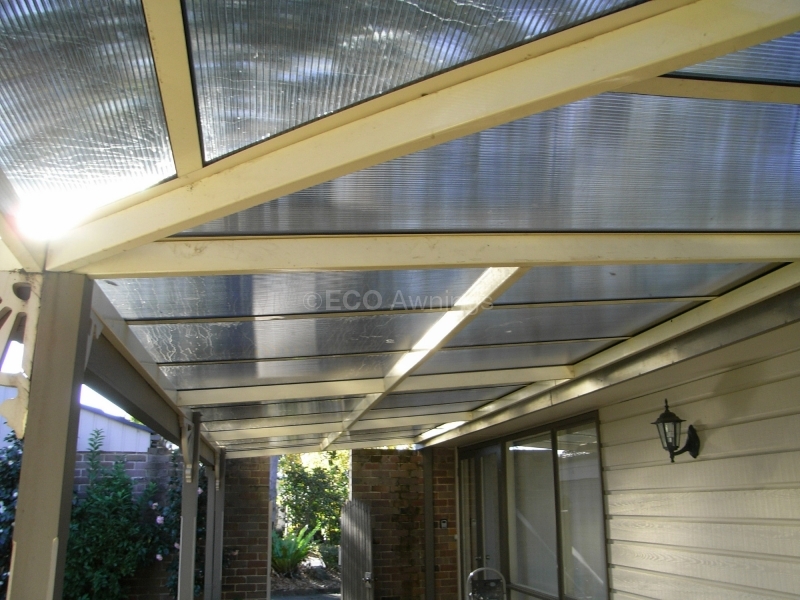 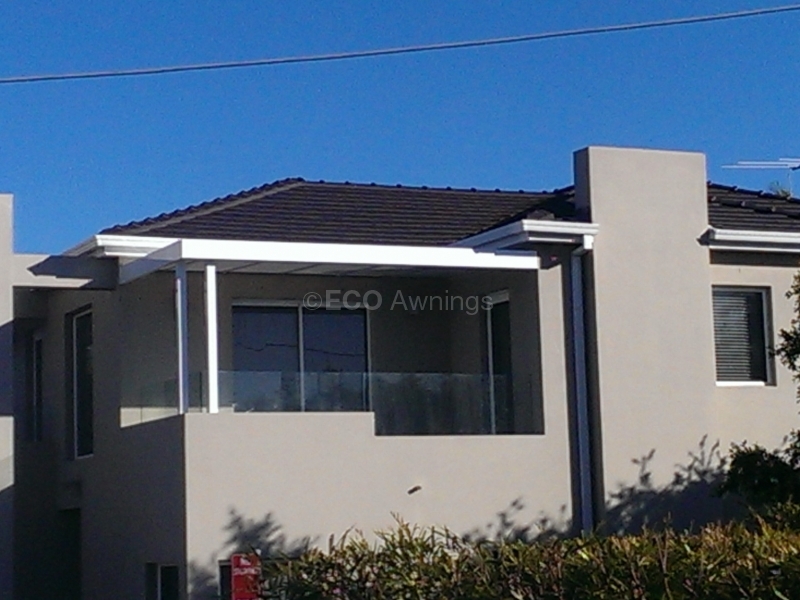 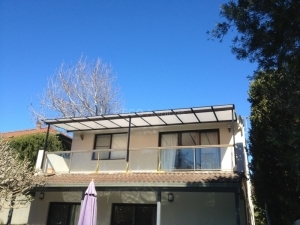 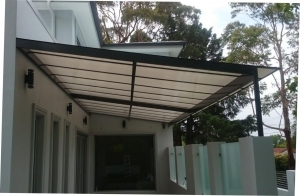 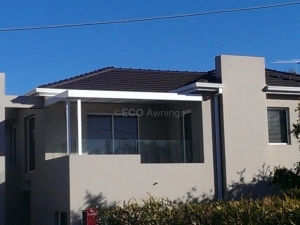 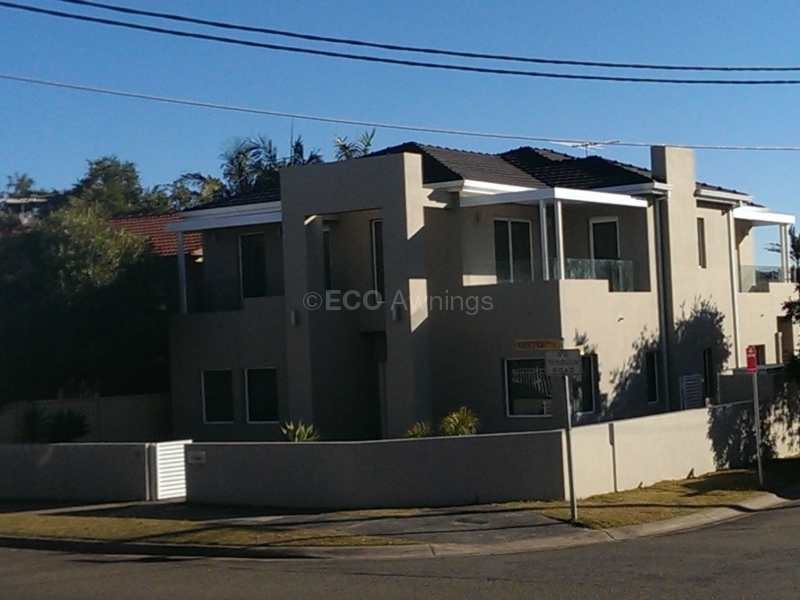 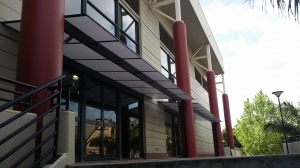 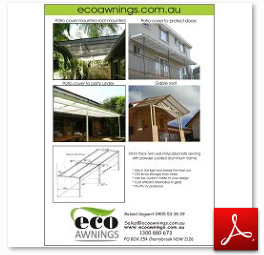 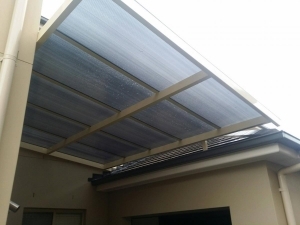 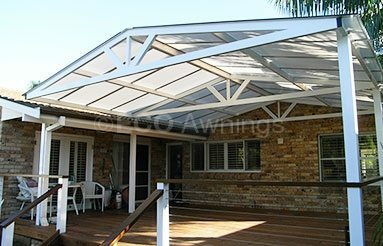 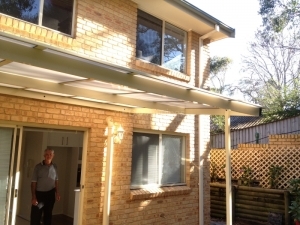 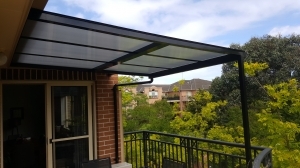 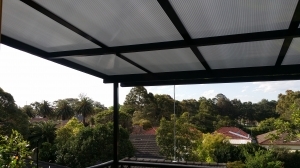 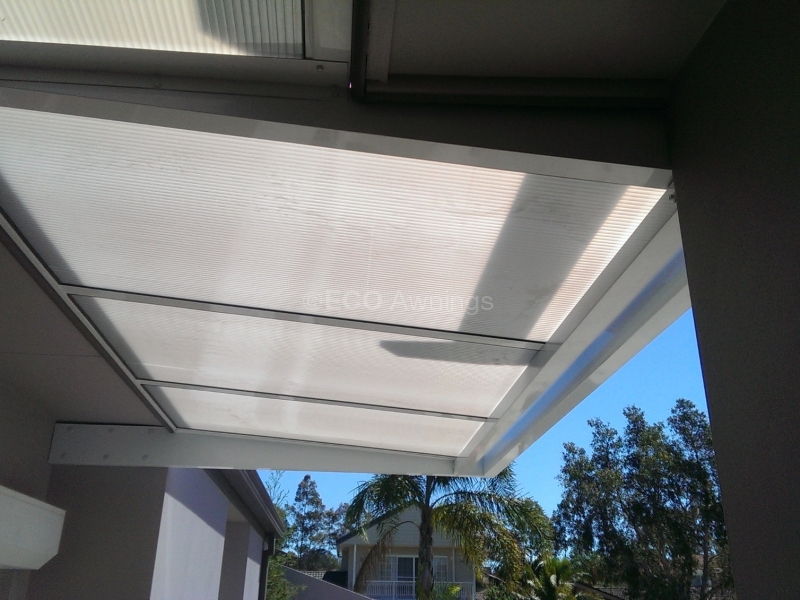 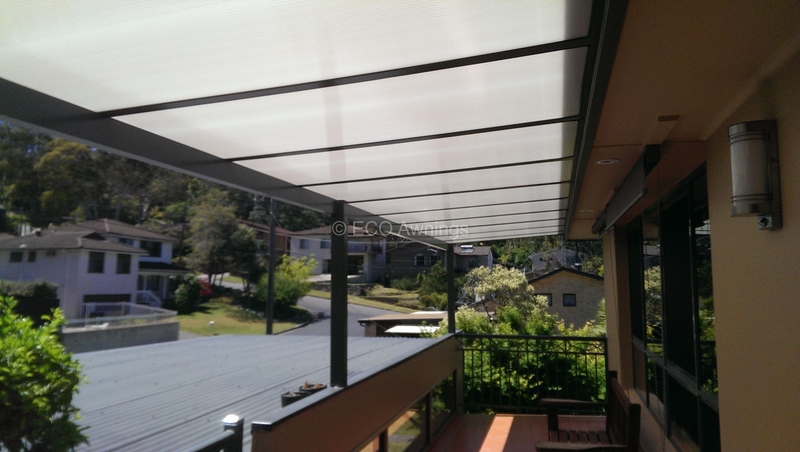 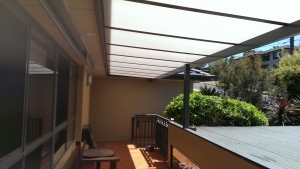 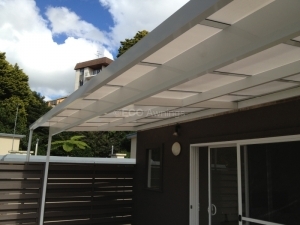 Improving your home can be done in less time and with less hassle, thanks to the most innovative and well-designed patio covers Sydney has – here at Eco Awnings. 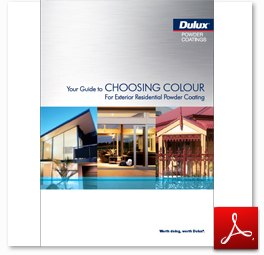 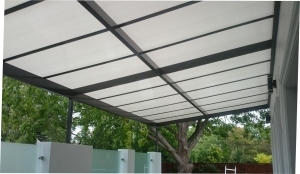 With our extensive range of sizes and designs, you are sure to find the right cover for your specific requirements. 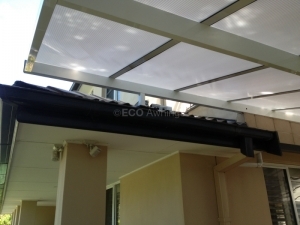 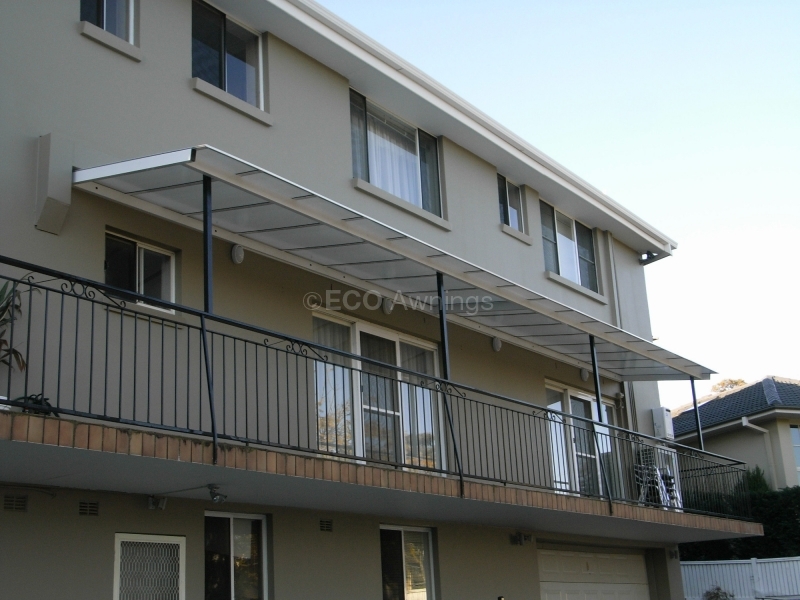 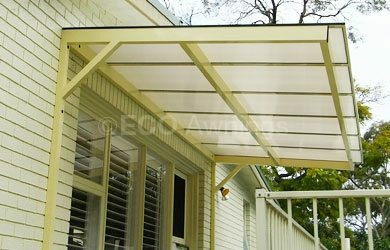 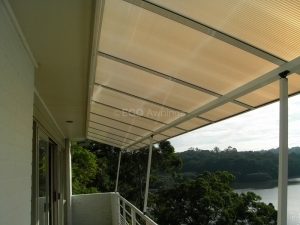 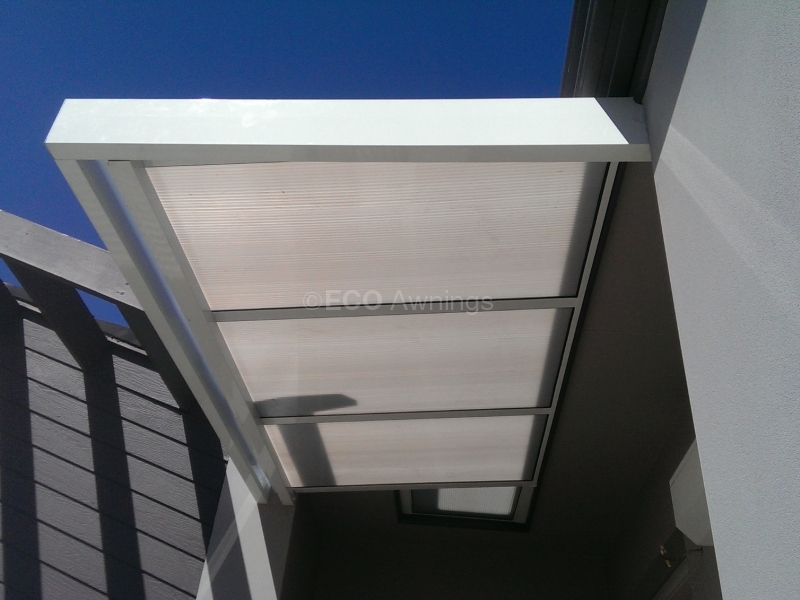 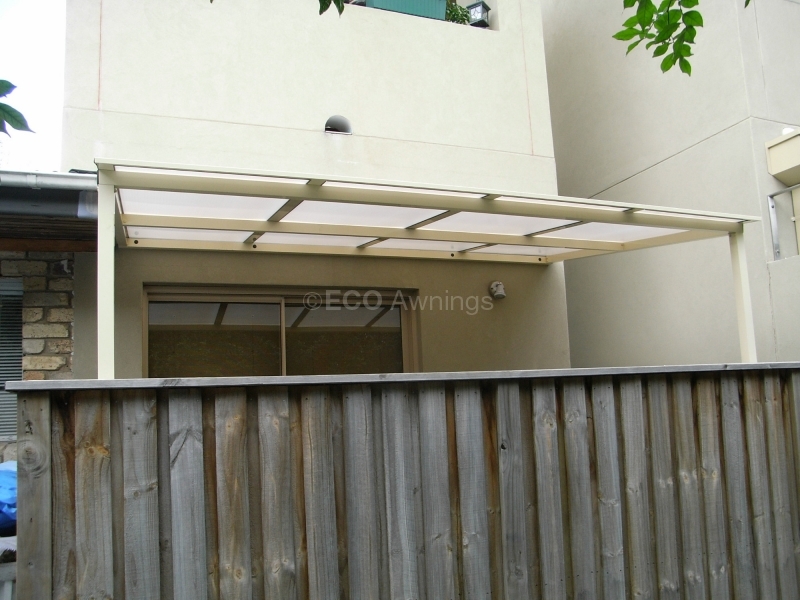 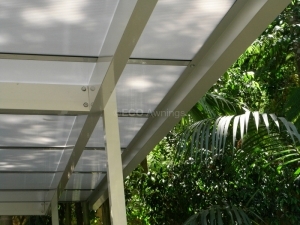 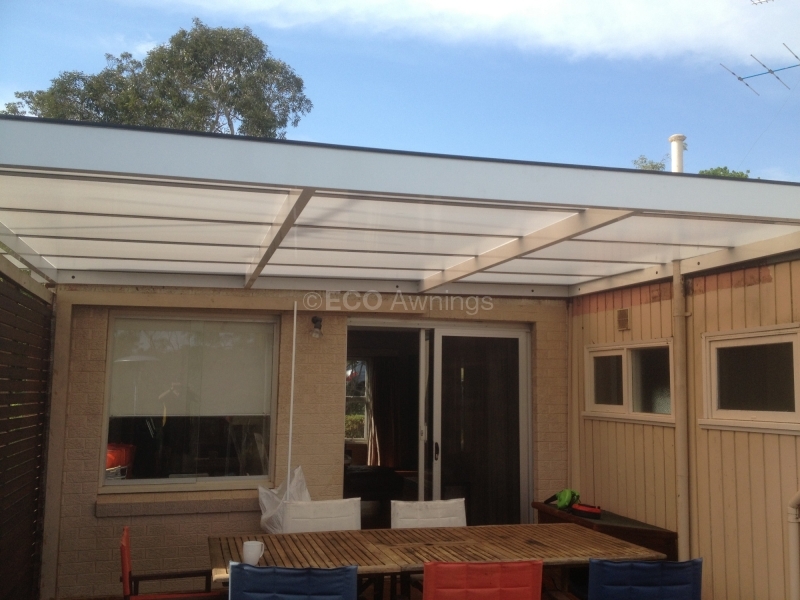 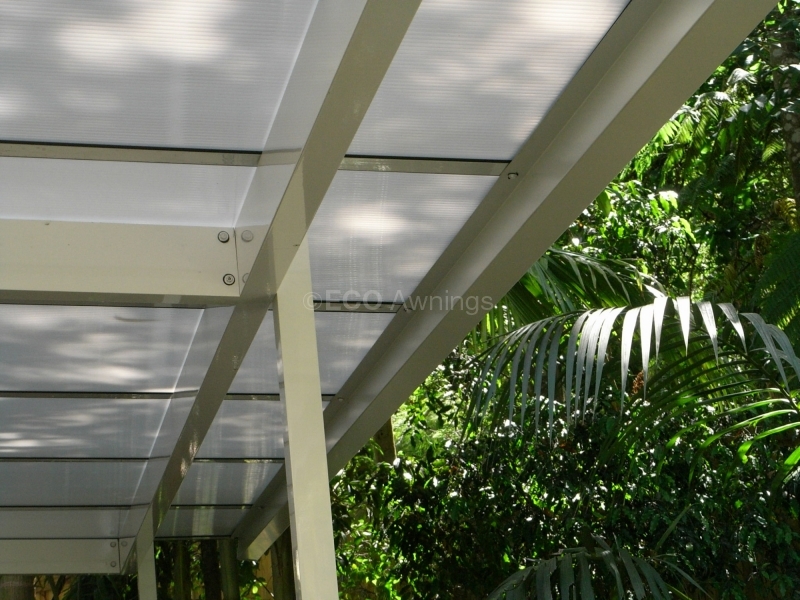 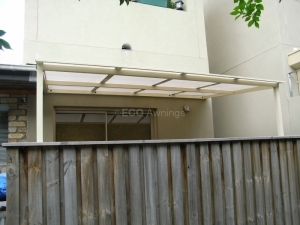 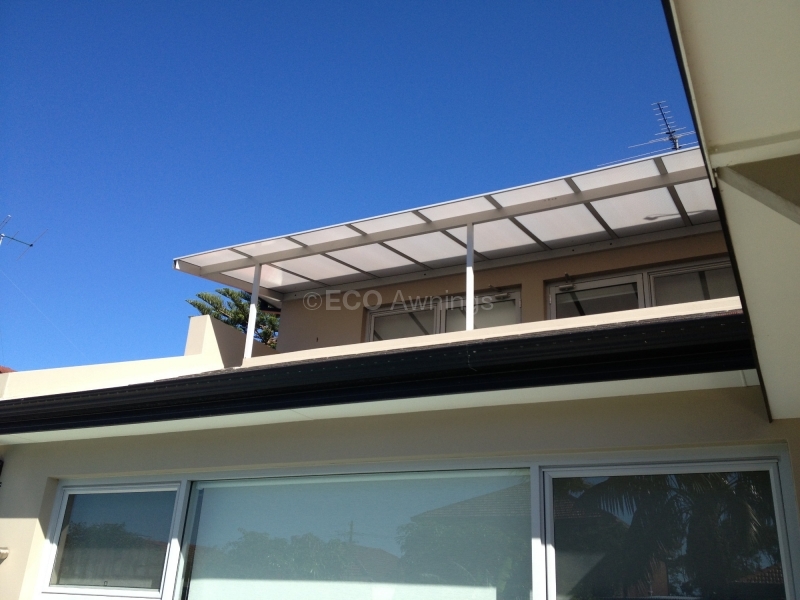 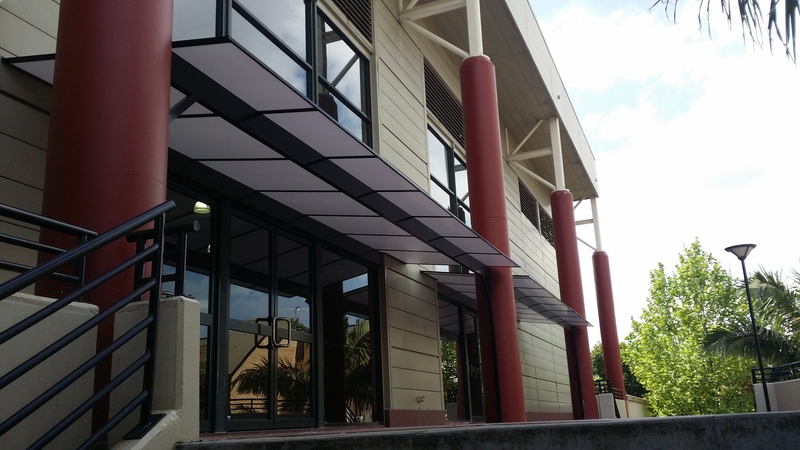 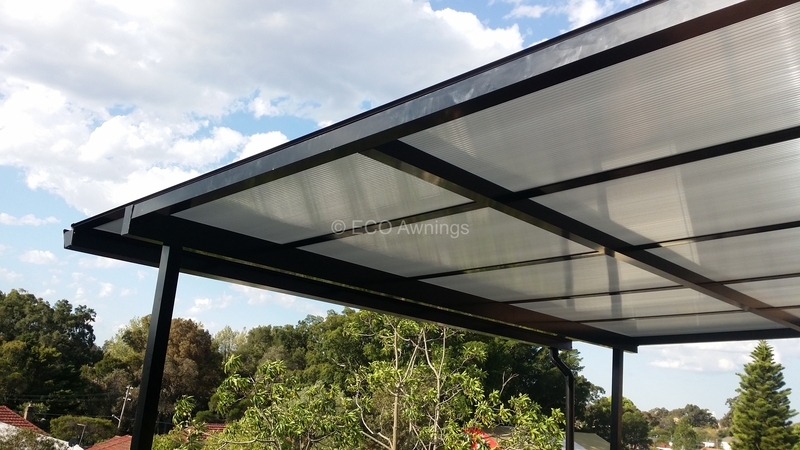 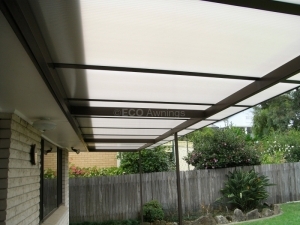 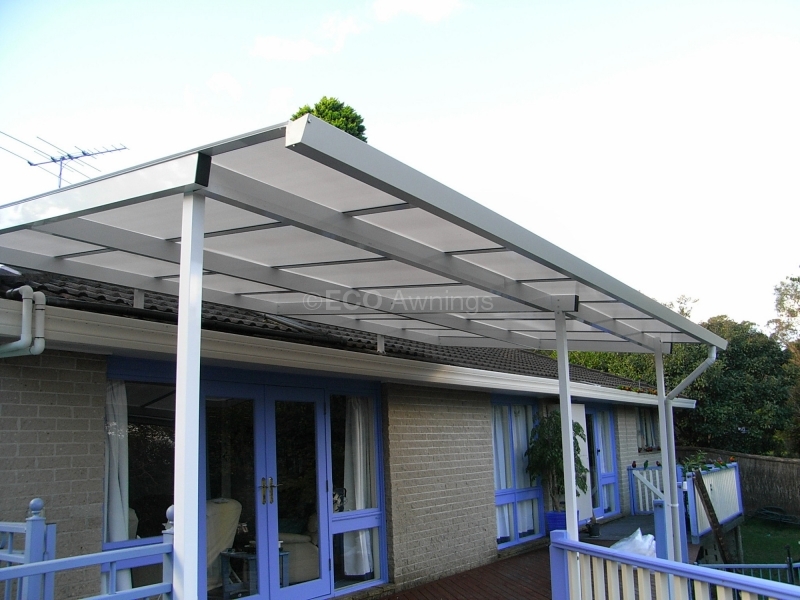 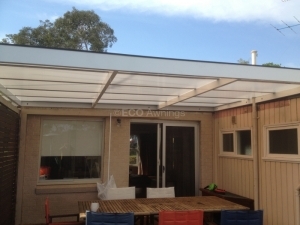 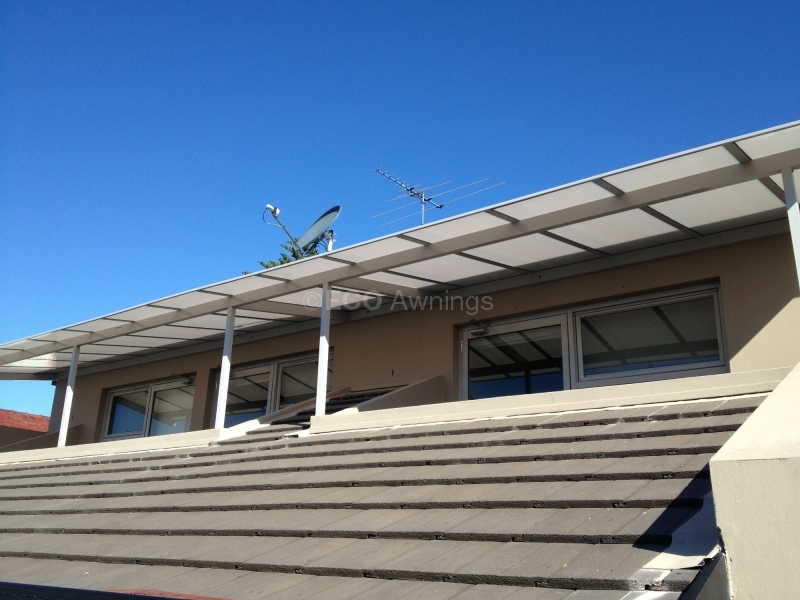 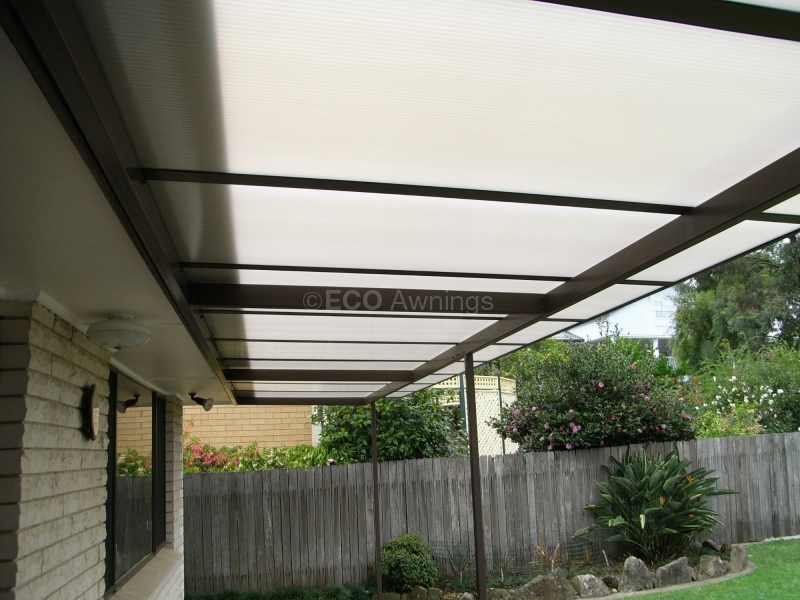 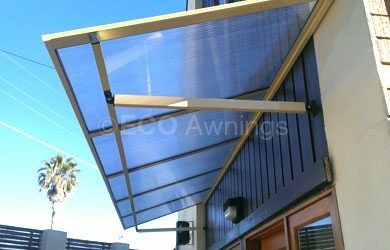 Eco Awning’s patio covers are a great way to create the perfect living space, which is kept dry in the rain and is protected from heat and UV rays from the sun. 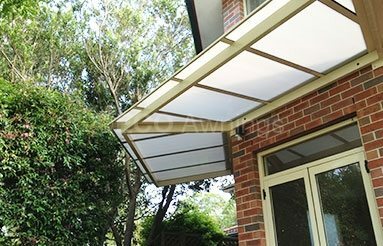 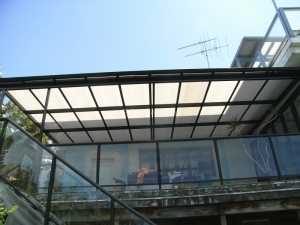 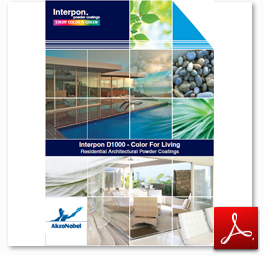 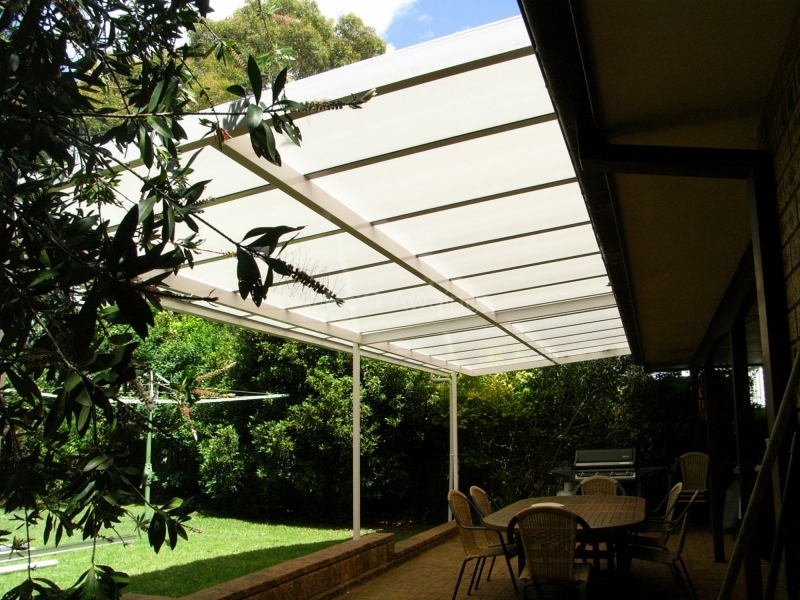 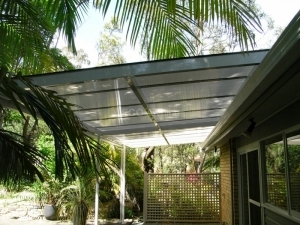 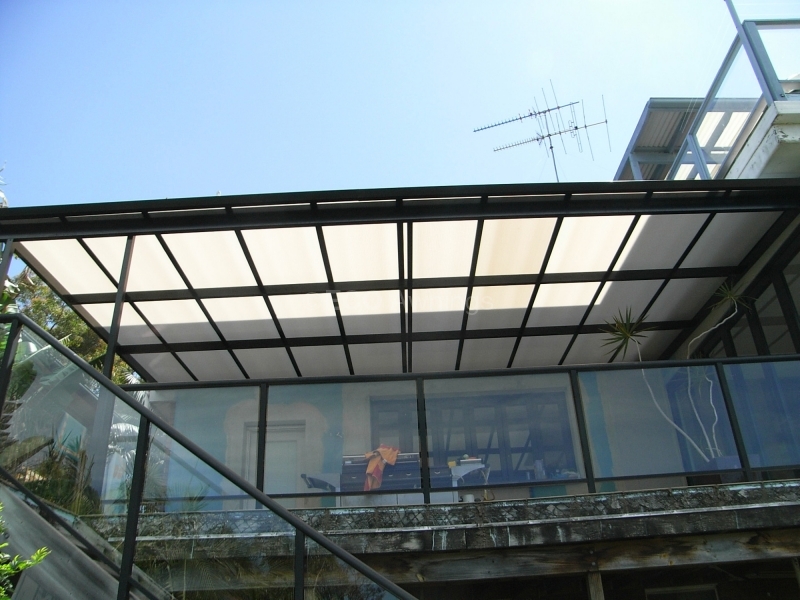 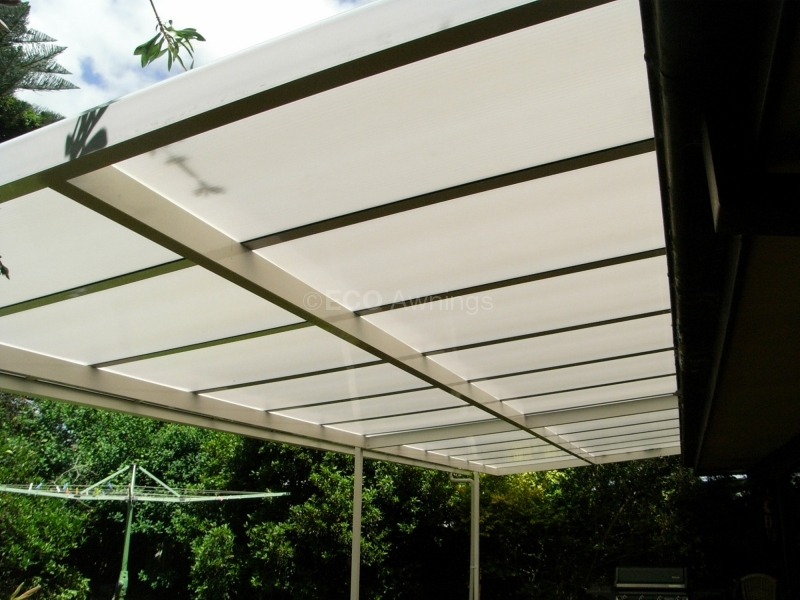 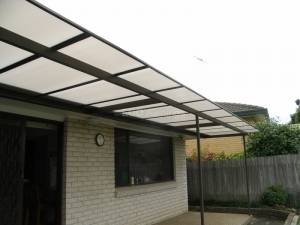 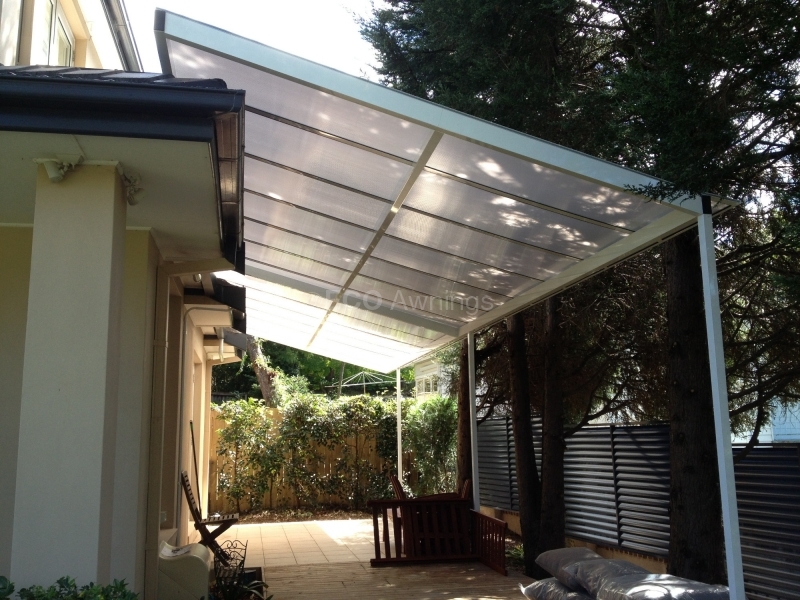 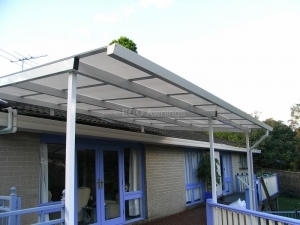 Your custom-designed patio cover can be as wide as you like and project up to 5.8m. 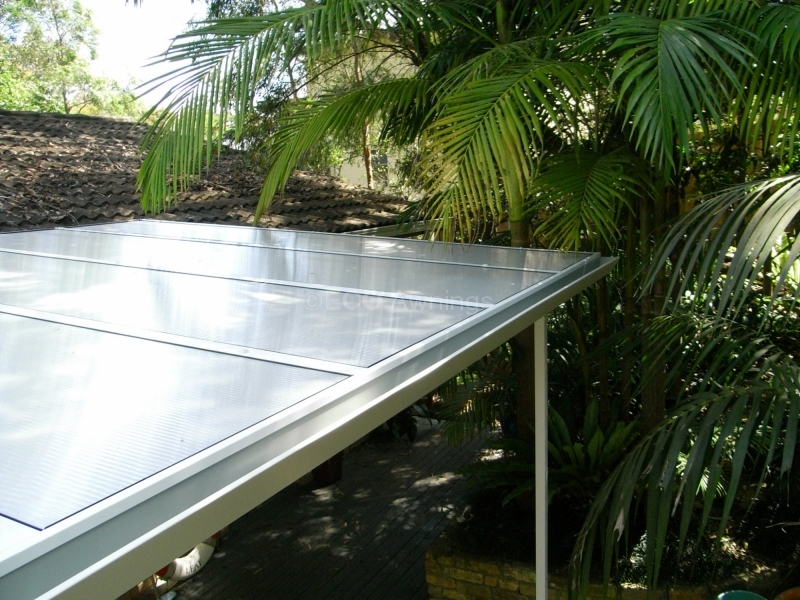 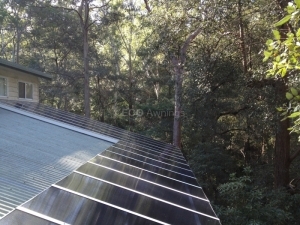 We build a powder-coated aluminium frame first and then install the twin wall 8mm polycarbonate roofing sheets. 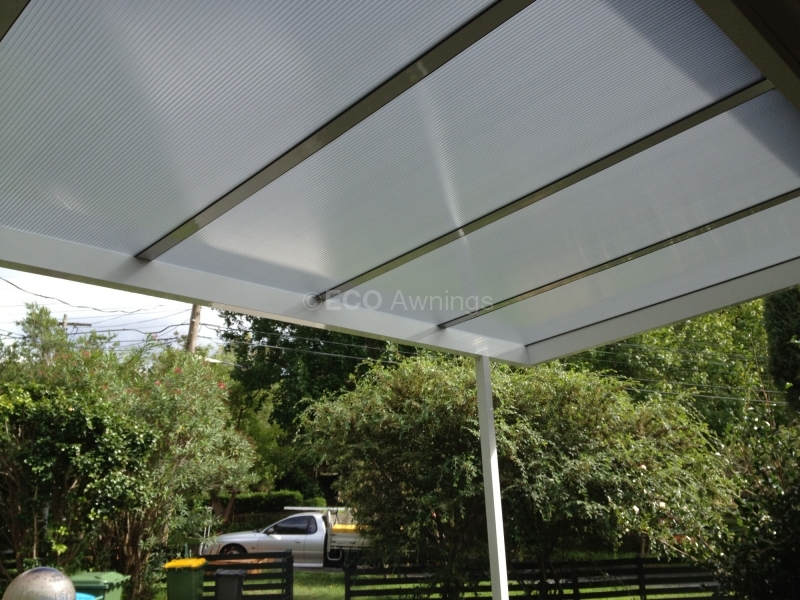 The polycarbonate sheets are joined with an ‘H’ Bar. 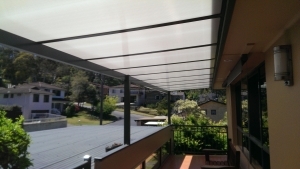 Each panel is 725mm centre to centre. So two sheets start at 1500mm wide and then simply add 725mm for each panel, to determine the width you need, and we can cut the sheets to fit any size needed.